I recently had dental implants performed at Phuket International Dental Center. All I can say is the treatment was excellent and the service provided by Vesna and her team was amazing. 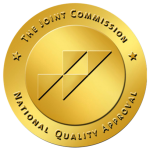 The procedures were pain free, and my total cosmetic dental work was of the highest possible standard. 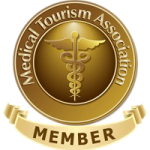 I also saved a significant amount of money using Australian Medical Travel services compared to Australia. I would not hesitate to recommend anyone considering having dental work done in Phuket to seriously considers contact Australian Medical Travel. Just incredible experience from planning with Australian Medical Travel to my bariatric surgery at Bangkok Hospital in Thailand. Great results! Thanks Vesna for taking such good care of me. The care – before, during and when I got home was fantastic. I really recommend Australian Medical travel to everybody. I was very impressed with all the client management provided by Vesna and Australian Medical Travel’s Team, from organizing very efficient transport to and from The Hospital, Airport, to feeling like you were the only important client. There was always plenty of staff taking care of you at all stages of treatment. I always felt that I was being taken care of at the highest standard and I felt very confident with both Doctor Chutinat and the nurses and his assistants.